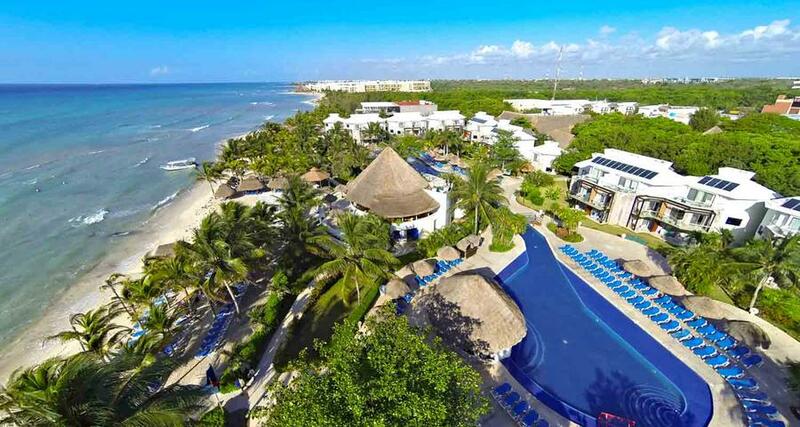 Sandos Caracol Eco Resort All Inclusive is a 4* family friendly beachfront hotel located in Playa del Carmen, Mexico. It features 954 rooms and swimming pools. All inclusive meal plans are available! Sandos Caracol Eco Resort All Inclusive is a beautiful All Inclusive hotel close to Playa del Carmen that offers a paradise-like setting for relaxing, set among tropical jungle, mangroves, natural lagoons, and cenotes. Have a great time during your time here as you take advantage of lavish amenities and fun recreational activities - you'll never be short of something to do! Sandos Caracol Eco Resort All Inclusive is a unique complex in Playa del Carmen offering an impressive array of restaurants and bars, a fun water park with 29 water slides, a fabulous kid's club, and a beautiful white sandy beach, typical of Mexico's Caribbean coast.